Front Desk personnel are the initial point of contact for most visitors to the Washoe County Sheriff’s Office. They serve as the reception area for the agency, directing visitors and callers to the respective division. They also assist citizens in completing crime reports, ensuring that all relevant information is collected. They refer citizens to community resources in Washoe County as necessary. 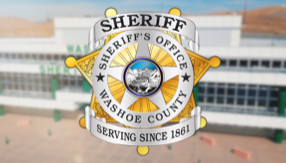 As the population of Washoe County increased, the Sheriff’s Office recognized a need to utilize staff more efficiently. This resulted in training and using the Front Desk personnel to support the Patrol Division in various field assignments including taking crime reports for cold crime incidents, conducting crime scene investigations, assisting during emergency situations and participating in community activities. This allows the Patrol Deputies to concentrate on incidents in progress and crime prevention activities. During normal business hours, the front desk operates one of the Prescription Drug Round Up locations sponsored by Join Together Northern Nevada (JTNN).